I reckon there’s a special place in hell for people who voluntarily work for Donald Trump. Especially those like Rudy Giuliani, whose job it is to keep him out of jail. 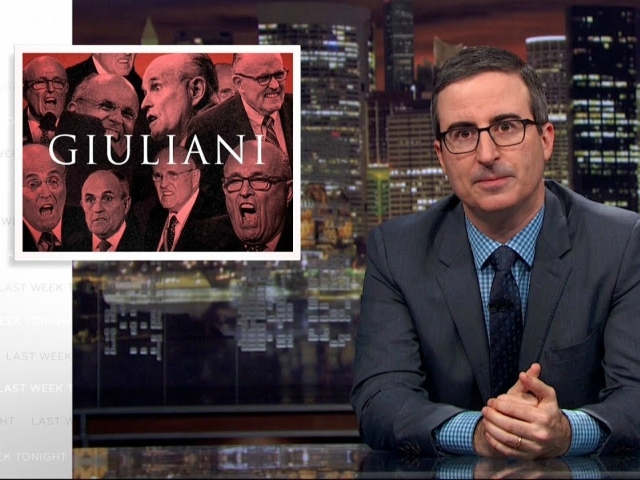 This past Sunday on Last Week Tonight, John Oliver tore Giuliani a new one, after the latter’s appearance on NBC’s Meet the Press. In the interview on Meet the Press, Giuliani lied repeatedly (he is a lawyer after all) and at one point said the Orwellian line “truth isn’t truth”. Needless to say, it was an unmitigated disaster, which gave the comedian plenty to work with. We know that Oliver is no fan of Giuliani’s. He’s had a go at the former mayor of New York before, for marrying his second cousin and his crush on Ivanka Trump.